Maybe not undeservedly, some solicitors have a reputation for having one eye on the clock and ratcheting up legal fees. And barristers? We’ve got a rep for being snobby, aloof and expensive. Who hasn’t heard a horror stories of people who’ve forked over a lot of cash in return for lawyers who don’t answer calls, who sit on your file and who can’t even manage to spell your name correctly? So you’re scouring the internet, looking for a solution to your legal problem, you can’t quite find the answer – and your court date is coming up fast. Because a woman who is her own lawyer has a fool for a client, in my day, I’ve hired a solicitor and a direct access barrister to handle my own legal matters in two separate transactions. 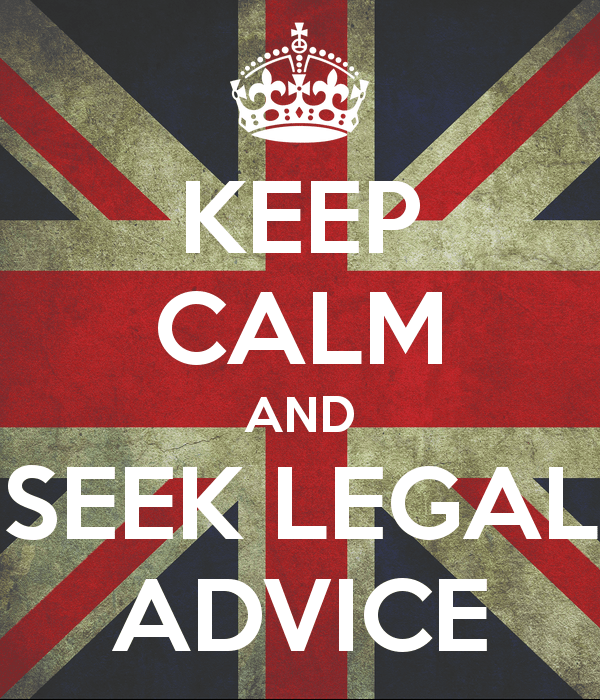 What have I learned as both a provider and consumer of legal advice? Stop scouring. It is unlikely in the extreme that a competent and qualified lawyer has posted the complete answer to your legal problem for free on the internet. You may find the first steps, but invariably you will be left searching for more. There are some sites and blogs that explain bits of law. Consider the source before plunging head first into a course of action – and understand that you may not be getting the entire legal picture. Comprehensive knowledge databases do exist – and they cost money. Deep knowledge of the law takes time and money to explain and update. Knowledge databases can give you a deeper understanding of the law, but they are not able to apply the law to your unique set of circumstances. You will need a human being for that. Get a proper lawyer. Why people bother with paid McKenzie Friends is beyond me. Uninsured and unqualified – and I suspect many direct access barristers are less expensive than Mckenzie Friends. Find someone who’s formally qualified to do the job. You’d get a Corgi Qualified gas fitter to check your boiler, so why wouldn’t you get a qualified solicitor or barrister to keep you on the right side of the law? Do your due diligence. How did you find your plumber? You may have googled, “Corgi gas fitters”. Probably, you asked your friends if they know any good ones. You might hear, “Andreas is my plumber. He’s great, but very busy. Give him a call and hopefully, he can fit you in”. Or, you might also hear, “I had Tim the Tool Man come over to do a gas safety check. He checked the boiler, charged a fortune, called me “babes” and tread mud all over the floor”. But maybe you’ve been summonsed to the Stratford Magistrates Court for a s172 failure to provide information – or arrested for handbags that got out of hand – and you’re embarrassed to be in that situation. Maybe you’re looking for a private client Criminal or Motoring law expert who can get you out of this mess? Your uncle’s Wills lawyer may not do Motoring law or Magistrates Court punch-ups, but maybe they know someone good who does. Discreetly ask. Even if you only find out not to go to legal Tim, you’ve dodged a bullet – so to speak. Know where to look online. Googling, “legal advice or Direct Access Barristers / Solicitors near me” may be a start. But it will pay to have a more targeted approach. The Direct Access Barrister Portal is a great starting point. You can find a direct access barrister near you who is a specialist in your area of need. For example, say you check that you want a barrister who is expert in Criminal law within 10 miles of N16, you will come up with a list of potential barristers, who you can vet. Yours truly will be top of the list. At this stage, it’s about whether the barrister deals with your area of work – and whether you like the cut of that particular direct access barrister’s jib. Finding a specialist is important. You can see all of the areas a barrister specialises in on the right-hand side of the page. Will Amal Clooney deal with your drunk in charge? It’s a fun idea, but she hasn’t listed Motoring or Road Traffic law as a speciality, so why waste your time asking? What’s a “dabbling lawyer”? Think full-time Wills & Probate lawyer who has never stepped foot in the Magistrates Court cutting his teeth on your Criminal Damage charge. I’m in the Magistrates Court every week and I do Crown Court appeals. I don’t do Wills disputes. If you and your family are at war over a will, you’ll want to contact a Wills specialist. I won’t “wing it” and I don’t dabble in Wills – so why should you want a lawyer who does? I can’t go wrong with a big firm, right? Just because X-Corp & Co is the biggest solicitor’s firm or barristers’ chambers near you does not necessarily mean they’re the best. Again, check that you’re not paying for someone to learn the ropes on your money. Get to know them before you sign! Whether s/he’s a direct access barrister or solicitor you need to find out whether you are going to be able to work together. Do they have a structured approach to getting information from you, or is it all a bit slapdash? Will the work you want them to do be clearly spelled out in a client care letter? Will later work that goes beyond the scope of the original client care letter been spelled out in a new contract? Do they keep their clients informed? Like American attorney Jay Foonberg, I’m in the stationery business: I confirm everything in writing. Clients should not have to keep ringing lawyers for updates. Clients and lawyers should be crystal clear about what’s happening and the next steps that need to be taken. Do they respect their clients? Or do they think they’re doing you a favour? Yes, Andreas the Plumber may be good and he knows it – but one of the reasons why he’s so popular is because he is glad to be of service. Narrowing the field of possible lawyers – and then taking some time to see if you are going to be able to work together as an effective team – is the best way I know of how to avoid pompous, sharp, dabbling lawyers who look at your case as a money-spinner rather than an opportunity to provide an honest service for a reasonable fee.